73969 & 73966 arrive at Arrochar & Tarbet station on 31 August 2016 with the 1Y11 04:50 Edinburgh (ex Euston) to Fort William ScotRail sleeper. At just after 7am on a rainy morning the light was terrible, but at least the train was travelling slowly, as it prepared to pick up a single passenger. 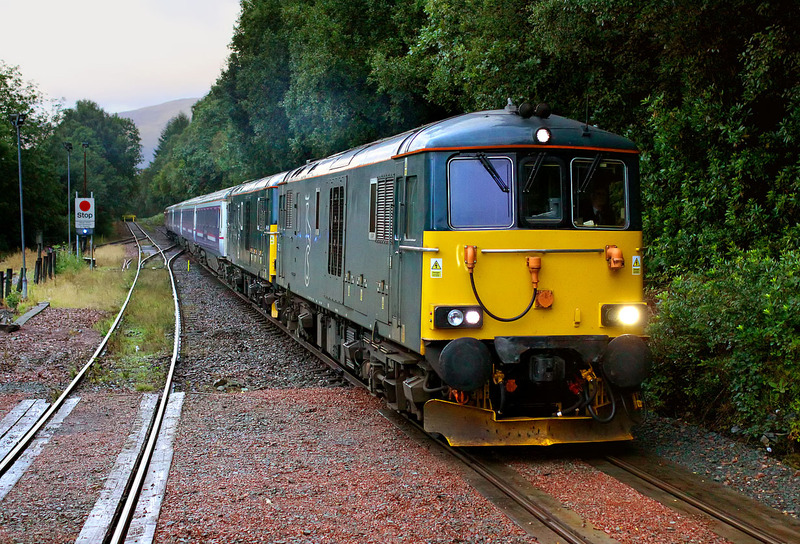 If anyone had told me when I first stared taking pictures that Class 73s would end up in the highlands of Scotland, I definitely would not have believed them, but in 2016 the re-engineered locos are proving a success on their new duties in the mountains.